THERE IS ONE SLOT AVAILABLE. Please right away join and proceed with payment if you are keen to go! Message me for the flight information. Below is the map with the estimate pinpoints of places we will be visiting. Gorontalo is nestled in the calm waters of the northern shoreline of the Tomini Bay, on the southern fringe of Sulawesi's protective northern arm. Here the weather is balmy and equatorial, the landscape punctuated by chains of mountains. 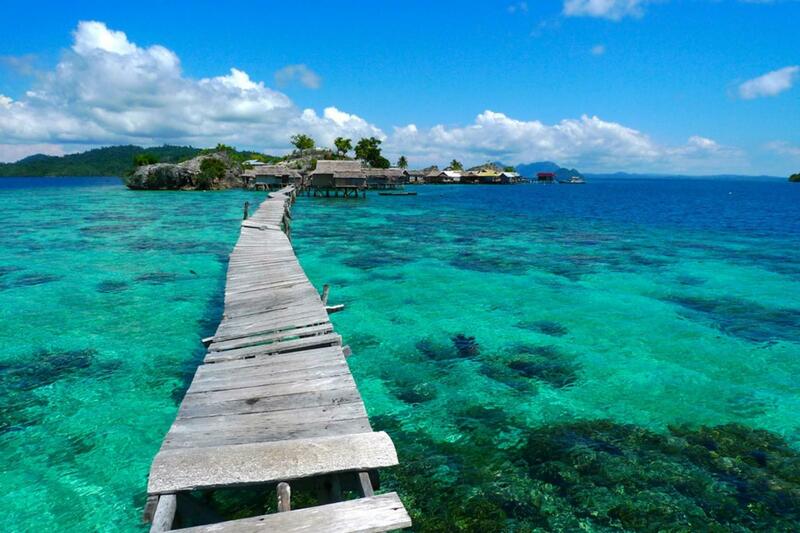 Being the main gateway to the diving mecca of the Togean Islands and only a 1-hour flight from Manado, Gorontalo is easily reached and often passed through. There are many small islands around the north and the south of the province, 67 of which have been identified and named. In 1525, with Portuguese assistance, three small rock fortresses were built overlooking the waters of Lake Limboto. Still in place today, the Fort Otonaha complex has commanding views. 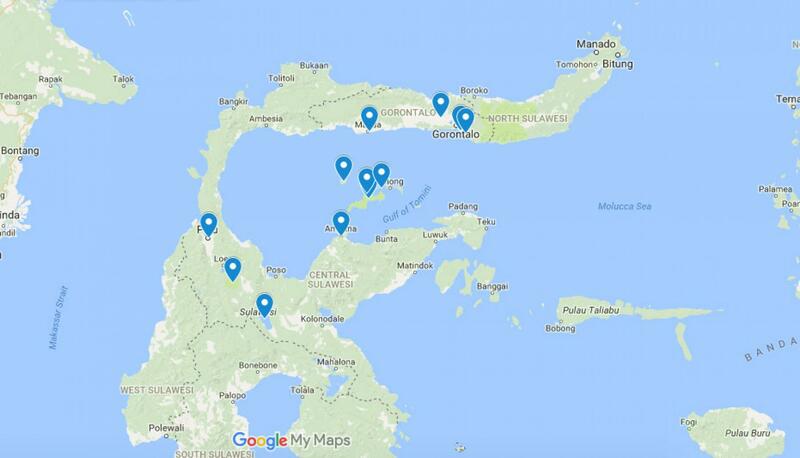 Around April 2017, 13 whale sharks came to Botuborani, Gorontalo. As per the locals, it was the largest group of whale sharks of many sizes that they have ever seen. It was then they decided to inform the Ministry of Maritime and WWF to check this phenomenon. As one of the biggest type in sharks family, whale sharks (Rhincodon Typus) are more likely to be found in the tropical water, as they like the warmer ocean with temperature minimum 22 degrees Celcius, and rarely to be found below that. Their length could reach 12 meters or more, and weighed tons. The Togian (or Togean) Islands are a picturesque archipelago of 56 islands and islets, 30 km south of the equator, located in the Tomini Bay. There are 37 villages on the islands, with one settled by the Bajau people and also one volcano which was formed by the short, broad Colo Volcano, whose summit rises just 500 meters above sea level, with a 2-kilometre wide caldera. Formed by volcanic activity, the islands are covered by lush rainforest and surrounded by ancient coral reef formations. Water temperature average 31 degrees Celsius and in perfect sea and weather conditions (which is often), the average underwater visibility is up to 45 meters. Both the terrestrial and marine ecosystems teem with exotic wildlife - much of which is extremely rare or endangered have attracted many divers to come by. 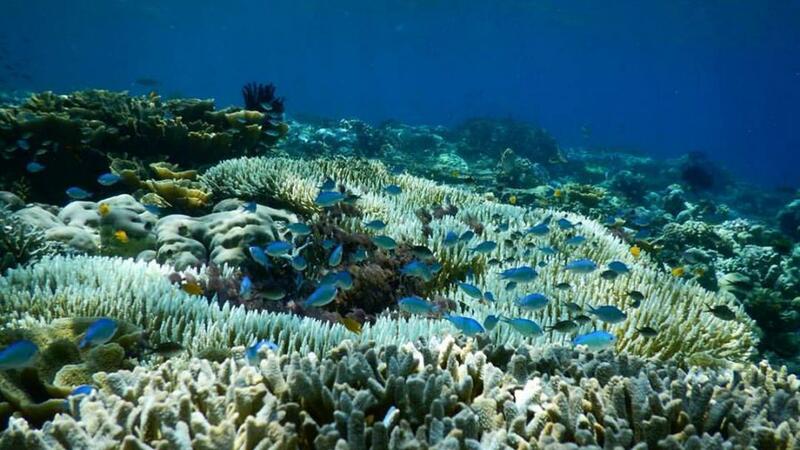 Various type of coral of the world can be found here (Fringing reef), barrier reef, Patch Reef and atone. Admirable places for snorkelling and diving. In Togean islands we shall also spot various types of fauna, such as Togian Macaque, the babirusa, the Sulawesi Hornbill, Tarsius, Coconut Crab and hanging parrots. The Lore Lindu National Park is a huge forested protected area in the districts of Donggala and Poso in Central Sulawesi, declared a UNESCO Biosphere Reserve since 1978. The Park, located south of the town of Palu and north-west of Tentena town, covers an area of 2,180 square km with altitudes ranging from 200 to 2,300 meters above sea-level and harbours lush forests filled with spectacular wildlife. The vast range of altitudes gives way to the existence of multiple ecosystems, including lowland tropical forest, sub-montane forest, montane forest, and sub-alpine forests at altitudes over 2,000 meters above sea level. 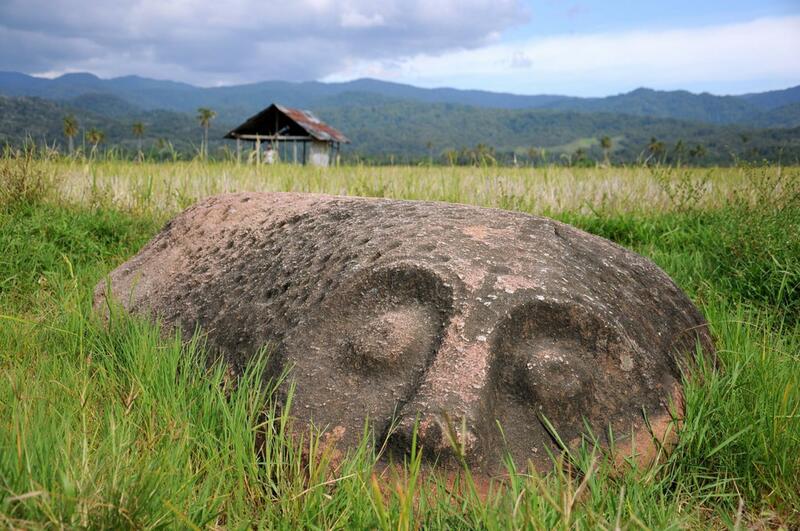 Aside from its rich wildlife and picturesque landscapes, the Lore Lindu National Park contains over 400 granite megaliths in the Bada Valley, varying in size from just a few centimetres to 4.5 meters tall, the largest found in Indonesia. Various archaeological studies have dated the monuments from between 3000 BC to 1300 AD. All participants are expected to reach Jakarta the latest by 11 pm. Take 02.10 morning flight to Gorontalo. Reach Gorontalo around 6.30 am and start to explore Gorontalo. Stay overnight in Gorontalo. Early morning, depart to Togean by speedboat. 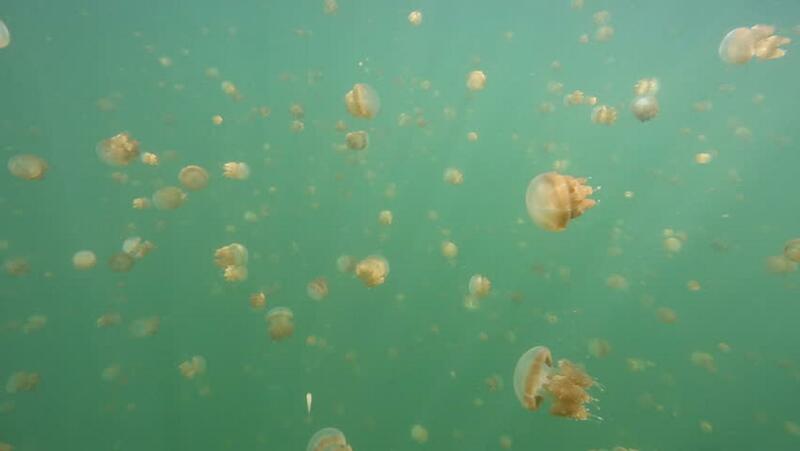 Reach Togean, transfer to accommodation and we will go to the jellyfish lake, snorkelling and also island hopping (Pulau Hantu Dan Soft Trekking Ke Pantai Barakuda). End the day at Karina beach before heading back to our accommodation on Kadidiri Island. After breakfast, get ready for snorkelling at California Reef, Reef 1, 2 and 3! Before that, we will visit the village on Papan Island. Get back to our accommodation for sunset. After breakfast, we will take a speedboat to explore Una Una Islands (1-2 hours). 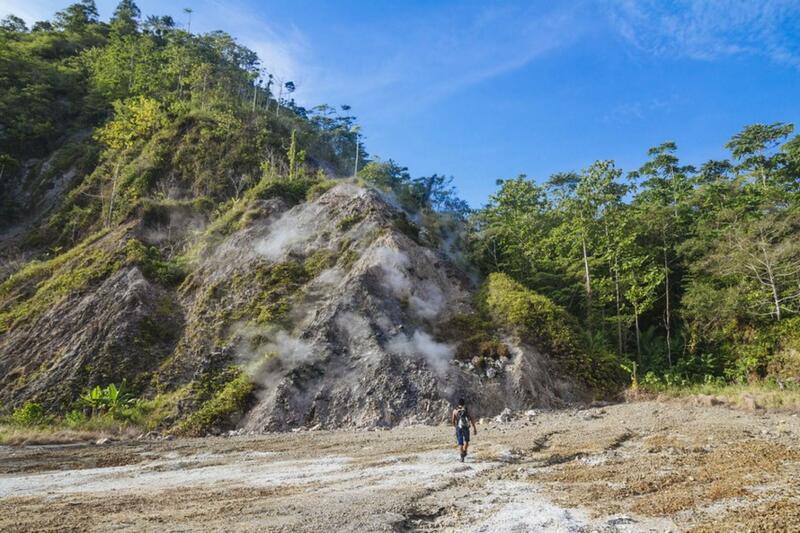 We will do a little bit trekking here to explore the Gunung Api Una Una. After breakfast, if time permits, we will do our last island hopping at the south area of Togean. We will also visit the Bajau Village and have our lunch before we head back to our accommodation prepare for check out. Go back to Ampana and continue our journey to Lore Lindu National Park which will take about 7-8 hours. Stay overnight near to the park. After breakfast, get ready to check out and explore Lore Lindu. 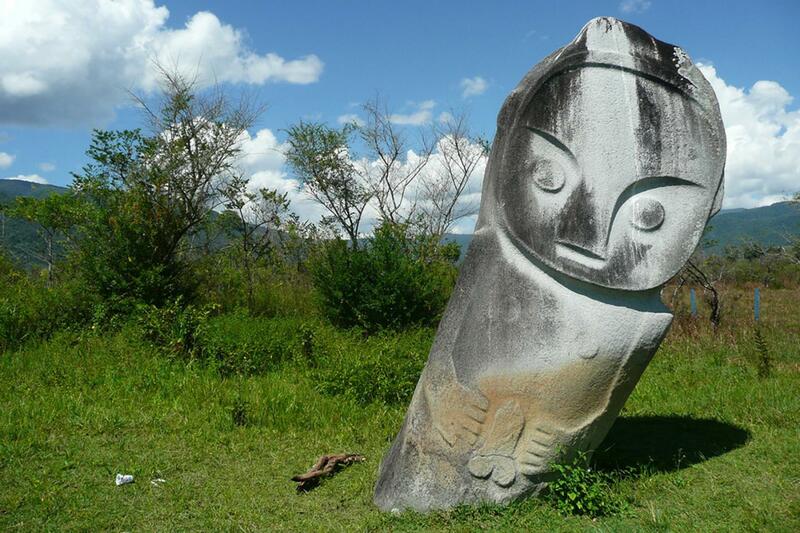 We will stop at few spots to see what this park has to offer, including to see the megalithic that can be found around the park. After that, we will continue our journey to Palu. Stay overnight in Palu. Early morning call for breakfast and get ready to head back to Jakarta.